Blog Archives – I make your event MAGIC! A St. Louis magician can bring fun and excitement to your event, whether it’s a birthday or holiday party, a conference or corporate gathering, or any day you want some unique entertainment at your venue. Once you’ve decided you want a magician to dazzle your guests, the next step is to choose someone who specializes in the type of show you want to present, which will typically be either strolling magic or stage magic. Both are great choices, but the one you should choose depends on the type of experience you want your guests to have. Stage magic is a great choice when you want to focus a crowd’s attention on the more traditional type of magic act. Parties often feature stage magicians who perform for a specified amount of time to offer entertainment for the whole group at once. Booking a stage magician at your venue can draw customers who want to see a show, and stage magic at a corporate event can provide a nice break from work for your attendees. A St. Louis magician who specializes in up-close, strolling magic can offer a different type of entertainment for your party guests, employees or conference-goers. Instead of drawing the attention of an entire group of people to a performance, a strolling magician becomes part of the crowd, interacting with your guests one-on-one and in small groups. Every guest can be entertained by the performance of stage magic, but a strolling magician can perform magic right in your guests’ hands. There’s no substitution for the excitement that kind of interaction can bring. While a strolling magician at your St. Louis event can’t perform for a large crowd at one time, a crowd will gather. This type of magic isn’t just interactive between the magician and a single person or small group. People draw close to watch and interact with each other, then discuss what they’ve just seen as the magician moves on to engage other guests. St. Louis Magician Gregory Green amazing guests at the American Cancer Society Gala In St. Louis MO. Both a stage magic show and strolling magic can energize a crowd, provide a break and entertain your guests. The best one to choose depends on your venue, your event and the type of experience you want to provide.  Talk to the magician you’re interested in about what you want from your event for tips about hiring a St. Louis magician and which type of performance is best for you.